Sacha Baron Cohen is back at it again. Giving you the over-the-top comedy that will have you disgusted or in tears of laughter, thinking "who created this?" 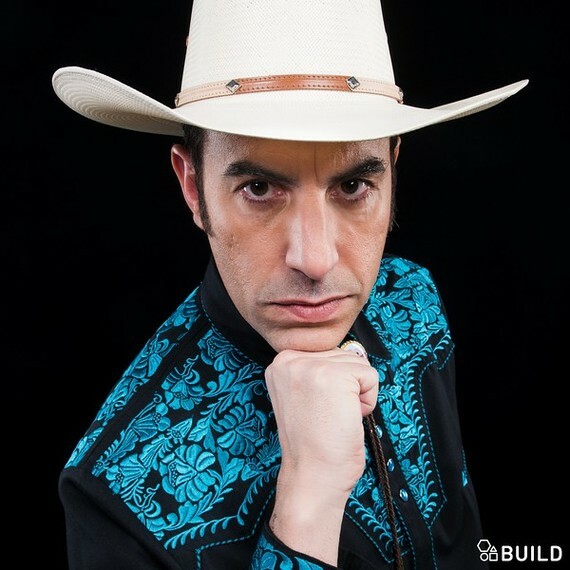 And the answer to that question is Sacha Cohen. Mark Strong and Sacha Cohen star in The Brothers Grimsby. Cohen plays older brother Nobby and Strong plays younger brother Sebastian. The two brothers have been separated from each other for 28 years. Cohen's character Nobby is a simpleminded father of nine who loves nothing more than football, beer, and his girlfriend, who is played by Rebel Wilson. Nobby has been looking for his brother and finally they are reunited. Once he finds him he learns that his brother is actually a secret agent. After being accused of a crime he did not commit, Sebastian is on the run and has to take Nobby with him. Sebastian soon realizes that he has to save the world and Nobby is the only one that can help him. If you liked Bruno and Borat you will love this movie. If you cannot sit through those two movies, then you will hate The Brothers Grimsby.This movie has that same crude humor that may make you cringe. Cohen doesn't make a full character transformation in this movie the way he did in Borat and Bruno. The character Nobby may not be as funny as Borat or as sassy as Bruno, but he is still worth a watch. This movie is not for people who get easily offended, people who are squeamish and who don't like vulgarity. Cohen and Strong are a good pair, they may not be believable as brothers, but their relationship works and will give you a few moments of laughter. The Brothers Grimsby also stars Penelope Cruz, Rebel Wilson, and Gabourey Sidibe. Penelope Cruz plays an actress who wants to help cure the world. She is supposed to be one of the main characters but ends up being the most forgettable. Rebel Wilson provides some good laughs in her usually Rebel Wilson way. 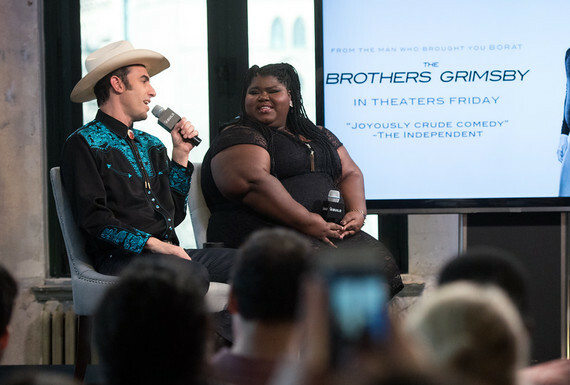 Gabourey Sidibe plays a South African maid. She doesn't speak much in the movie, which may be a good thing because her South African accent is horrible, but this is a comedy so we can forgive her. I give The Brothers Grimsby three out of five stars. You definitely will waste your time and money seeing this film in theaters if you are not into crude humor. So just wait for it to come out on Netflix. If you are into that kind of humor, then go out and watch The Brothers Grimsby. Overall it definitely is something that you can sit through and get a few laughs. The camera angles are a little annoying, but if you can get past that then this can be something you will enjoy. This is a comedy with a lot of action sequences. At times, it felt like an action parody. But one thing is for sure this is not a movie for children or the innocent. You can check Sacha Cohen and Gabourey Sidibe out on AOL Build where they talk all about how they meet, the movie and much more.